Light is creation. Based in Barcelona, the brand Vibia designs, develops and manufactures top of the line lights with strong personality, drawing on the creative ability of the user. Vibia's strength is in understanding how people live and their environment (the living space, work, where they travel) so they can provide suitable lighting solutions which are often unexpected. Light is treated differently for each project in order to enhance the ambiance of each space, to create emotions and unique luminous sensations. The technology at the heart of each project, knows how to make the functional invisible and opens up new creative possibilities in the field of lighting. The unsurpassed elegance, high quality and impeccable finishes of these creations make each piece a unique and decidedly contemporary work. 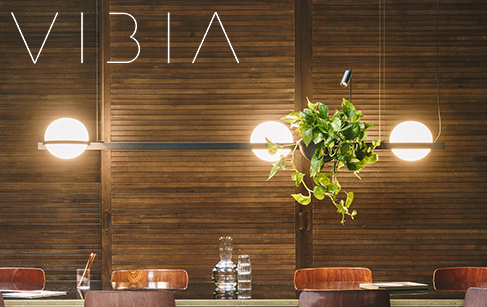 Enter the Vibia universe, stimulate your imagination and enjoy a unique experience of light!